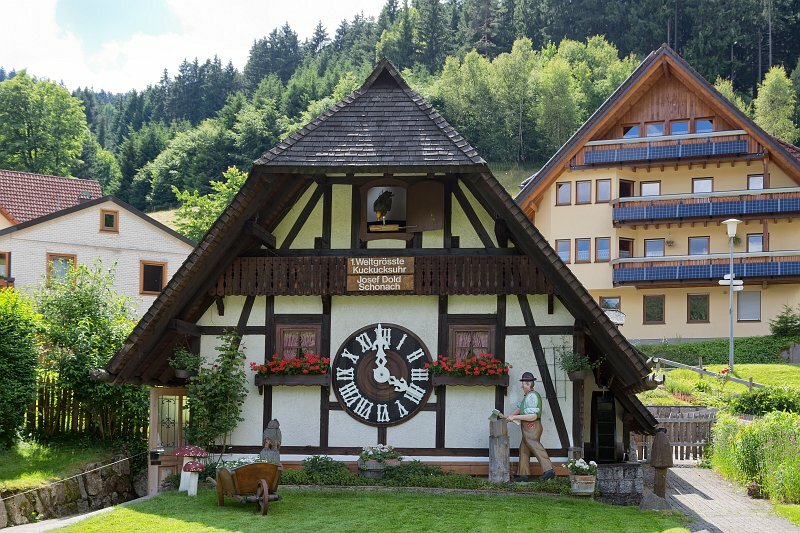 The cuckoo clock in Schonach, which was the first biggest cuckoo clock in the world. The clock was built by clock maker Josef Dold and his family in over two years. Not only the case but also the clockwork and the wooden cuckoo pipes have been built on a scale of 1:50. Dimensions of the clockwork: length -3.60m, height - 3.10m and depth -1m.